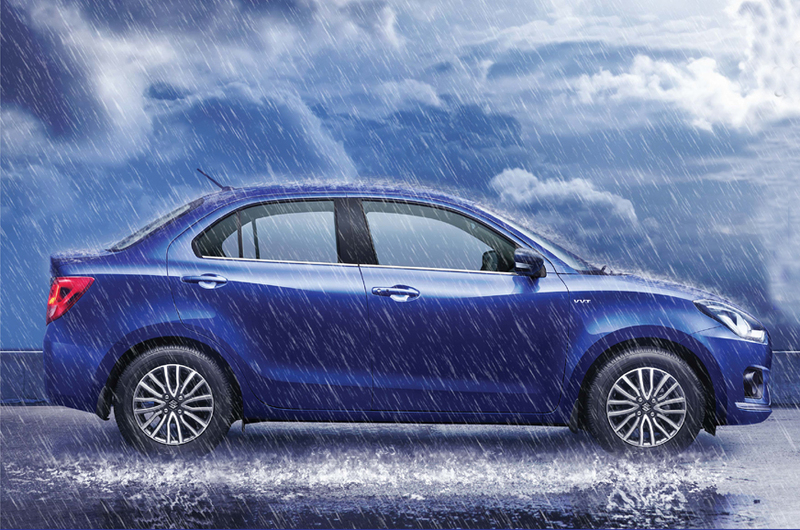 Maruti Suzuki will conduct a Monsoon Service Camp across all its dealerships – including Nexa and Arena – in India. The 22-day service camp will kick start from July 9, 2018 . 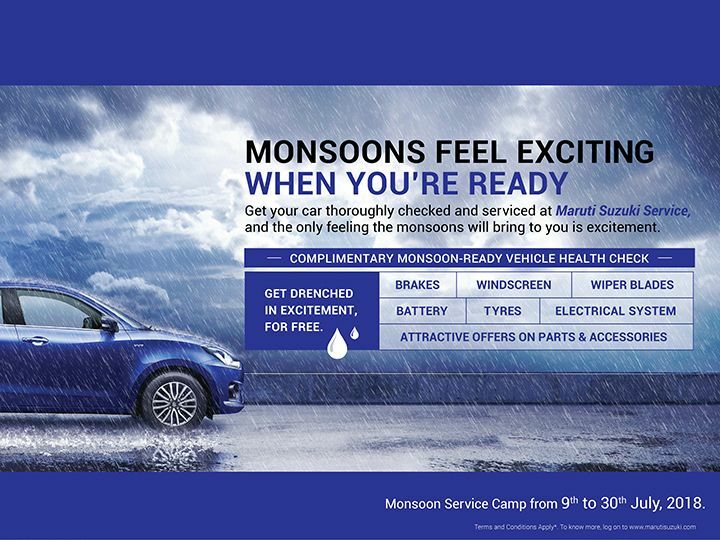 Maruti Suzuki’s Monsoon Service Camp will be a complimentary vehicle health check-up that will ensure the cars are in optimum condition for the monsoon season. The checklist will be mainly done on key components such as brakes, windscreen, wiper blades, battery, electrical system, tires and more. The camp will also offer benefits and discounts on parts and accessories. Being a company that keeps the customer first, Monsoon Service Camp has been curated to offer exceptional service quality for the health of the vehicle which will help avoid break-down during heavy rains. Our objective of this service camp is to reinforce the bond with our customers by providing them the first step towards prevention during monsoon. The camp will benefit the customers by providing them necessary care and maintenance in the challenging season of monsoon. 2018 is an ambitious year for Maruti Suzuki, it kick-started with the launch of new-gen Swift at the 2018 Auto Expo and the AMT variant of Vitara Brezza was introduced in May. Also, its models are doing good in terms of sales with the Baleno premium hatchback crossing the 4 lakh sales mark and the Vitara Brezza compact SUV hitting the 3 lakh sales milestone. Maruti Suzuki Dzire is leading the compact sedan segment with more than 20,000 units last month. Maruti is expected to bring the all-new second-gen Ertiga MPV to India in the coming festive season, which will be followed by the facelift of the Ciaz mid-size sedan. BMW 1-Series Compact Sedan Launch in India to rival A3 & CLA?